If you don’t remember your grandmother stressing upon the medicinal benefits of neem while growing up, then you weren’t paying attention. Let us step in on her behalf and remind you about the qualities of this Indian ingredient that has been indigenous to the country’s history. Its cultural significance is mostly spiritual, but its benefits for hair is scientifically proven. 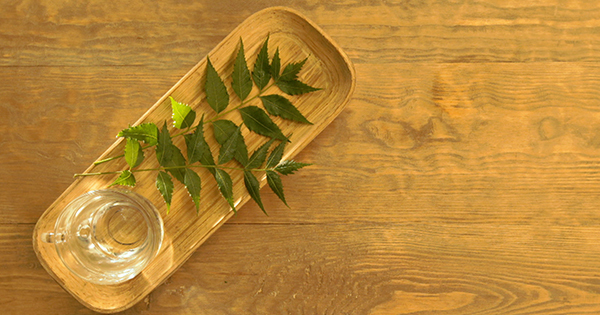 Neem’s cleansing properties are a sure fire way to free the scalp of dandruff. Another favourite with Ayurveda, neem’s root, stem, bark, gum, flower, seed and seed oil are all used for its antiseptic powers. Here’s an Indian recipe for a clean, dandruff-free scalp.